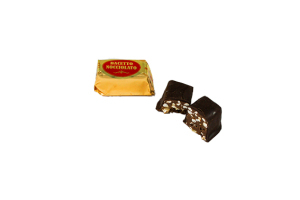 Nocciolato and Bacetto Nocciolato are nougat made with hazelnuts and fine chocolate. Eating one of them is a sensory experience. Bacetto Nocciolato. A mix of crushed hazelnuts and chocolate inside and a coating of dark chocolate. Nocciolato. 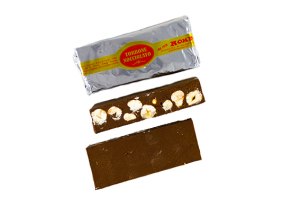 A unique mix of hazelnuts and fine chocolate. An unforgettable experience.